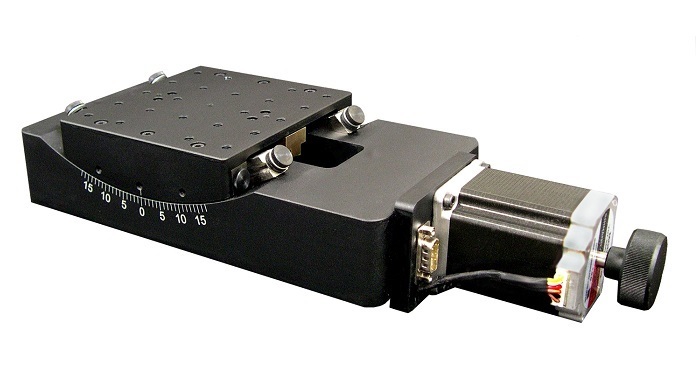 This motorized goniometer is made of aluminum alloy with an black anodized surface. The bench size is 120 mm X 130 mm and has a body weight of 9 kg. The drive mechanism is worm and worm gear. The worm gear ratio is 1° (stage) : 304° (motor). The maximum load of this goniometer table is 15 kg. This stage is compatible with OES' line of Motion Controllers. ..